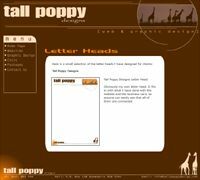 Tall Poppy Designs offers several packages to be taken advantage of. Please peruse the site at your leisure and find the package that suits you best. However, if you can't find a package to cover your unique needs please don't hesitate to contact us and we would be happy to custom build one for you (Price negotiable). For any business to succeed they need to build a professional relationship with their clients/customers. Tall Poppy Designs can help. 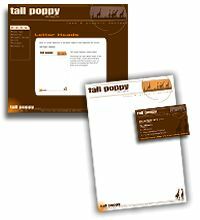 With the Stationery Staples package, any business, no matter the size, will be able to distribute their contact details and correspond with potential and existing clients/customers. It is paramount that this be done with the most professional looking business cards and letter heads available to convey the most professional business image possible. With our package, this will make client liasons easy, creating an impact and more importantly, leaving a lasting impression. As the old adage goes......."First impressions always last". Websites are a great way to attract and inform potential new clients/customers of the service(s) you provide and to keep your existing clients/customers informed of any changes you make. With the ability to reach people from around the world and available for access 24 hours a day 365 days a year, can you afford not to have a website? The Small Business Website package includes a professionally designed six page website, a years free minor updates and submission of your site to all the major search engines (Hosting and Domain Names are not included in this cost. However, if you wish this can be organised). Just starting out with your new small business or want to change your current look? Then this package is perfect for you. The Small Business Starter gives you all that is offered in both the Stationary Staples and Small Business Websites packages at a discount price. 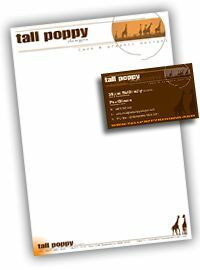 Perfect for giving your business that difinitive image and feel which is revealed through your stationary and website.